A team from Blackberry’s class competed against Greenfields School and Northgate School in a virtual Boccia competition. It was virtual because all of the schools did not have to a travel to a neutral venue but completed the competition at their own school and sent in the results to the organisers (Projectability). 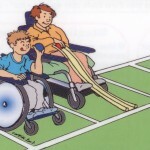 Boccia comprises players who sit and try to get a ball as close to the jack (white ball) as possible. Points are awarded to the nearest ball. After all the results had come in, Rowan Gate finished 1st and so became the first virtual Boccia champions. For five weeks the children in Pears class learned how to develop their leadership skills, with the help of Friars Academy. During the sessions the children learned how to communicate with each other to provide clear instructions; encourage each other to try their best; understand what sportsmanship is and how to show it; develop and lead games activities. At the last session Pears class put in to practice all they had learned by organising and then delivering a small Sports Festival to the younger children from Oranges class. The children who completed the training are now a Sports Crew. They will now help decide on what sport the school will do and will help with Sports days, the Sainsbury’s challenge and playground play activities with the younger children. 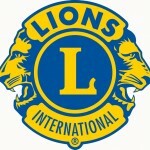 All the children from Limes class competed in the Lions Club Sports Festival at the Benham Sports Arena in Northampton. Along with children from Beanfield and Fairfields School they took part in a number of sporting activities. Each activity lasted 15 minutes and throughout the day the teams accumulated points depending on how many targets were hit or knocked over; how long it to them to complete an activity or how accurate they were when throwing. When all the points were added up, Limes class finished in 1st place. Everyone was awarded a medal for their efforts and Limes also received a magnificent trophy. There was also a painting competition and everyone from Limes received a certificate. Two teams from Cherries class competed in the Sainsbury’s School Games, Project Ability, Goalball competition, held at the Towcester Centre for Leisure. In all 7 teams from across Northamptonshire competed. The teams were put into 2 pools and played all the other teams in their pool. The pool matches were refereed by Sports Leaders from Sponne School in Towcester, who all did a fantastic job. After all the pool matches were competed, one of the Rowan Gate teams had won through to the final. The final was a very close game with Queen Eleanor, which went into extra time and in the end Rowan Gate were the winners and crowned champions. During the competition the children had the opportunity to meet Alistair Patrick-Heselton. Alistair was a London 2012 Paralympic CP Footballer, who was attending the event as part of his role as a Sky Sports “Living for Sport’ Ambassador”. All of our pupils will be going on a day trip to Hunstanton this year. We will be leaving school at approximately 9.30 a.m. and arrive back in school for approximately 5.30 p.m. Children should arrive at school on their usual transport at the start of the morning. They will, however, need to be collected from school at 5.30 p.m. as there will be no transport that evening.